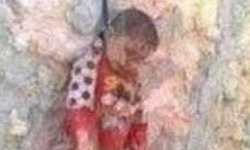 As the situation in Syria appears to grow worse by the day, Jihadi terrorists demonstrate the sickening subhuman actions they are willing to carry out in the name of their ideology, as they hang a small child shortly after slaughtering his entire family. According to a report by Iraq’s Qanon news website, Iraqi human rights activists said that armed rebel groups attacked the house of a Shiite Iraqi family in the Seyede Zainab neighborhood in the capital city of Damascus, killed all members of the family and hanged the last one, a little child. The footages and pictures of the rebels’ brutality which surfaced online in the last few days are revealing the terrorist nature and the war crimes of the opposition fighters in Syria. The massacre is said to have badly damaged the western-backed rebels and opposition forces’ ability to claim the moral high ground in their fight against Damascus and showed their accusations that Syrian President Bashar Assad’s forces are conducting war crimes are nothing but lies. Make no mistake. 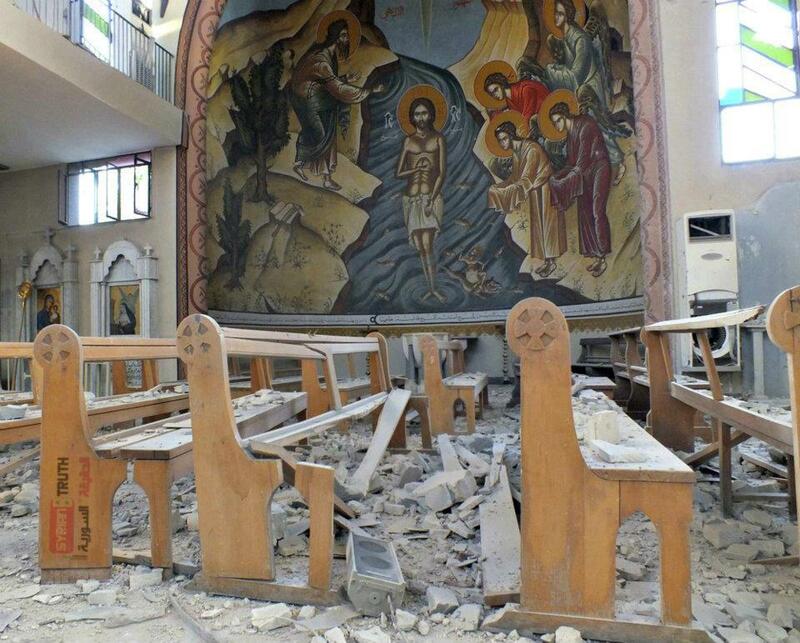 These “rebels” in Syria are NOT freedom fighters. They are the Muslim Brotherhood whom NATO are trying to assist them and helping them too take Syria from Assad. I and many others might not like Assad but he has maintained Syria Westernized, Secular and free from Sharia. The US and British Governments should hang their heads in shame for trying to help murderous Jihadists, who commit acts such as the murder covered, take over Syria under pretext that all of the evils come from Assad’s forces. This entry was posted in Israel and the Middle East. Bookmark the permalink. The Prophet Muhammed is proud that his barbarians are still 7th. century followers of his cult. He would never believe different. These scumbags are the trash of the earth.